The detailed Half Pencil & Scalloped design blends beautifully into this bright and welcoming period kitchen and adjoining boot room. This practical and functional space keeps everything close to hand, whilst the central island provides a perfect hub for storage, food preparation or socialising. 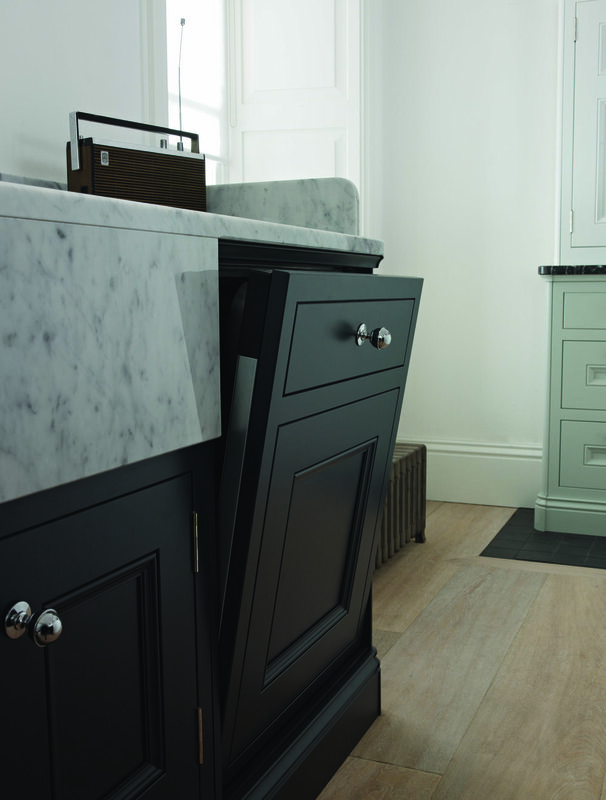 A combination of bold Charcoal, soft Partridge Grey and Chalk, suitably accompanies the natural wood tones of the flooring and island worktop.